So far, I've been focusing on what I think about while I'm shooting at an event, discussing camera settings, lens choices, where to position, and how to prepare. But I probably spend at least 4x as much time managing and editing the photos than I do actually shooting the event so I want to start easing into discussing post processing. 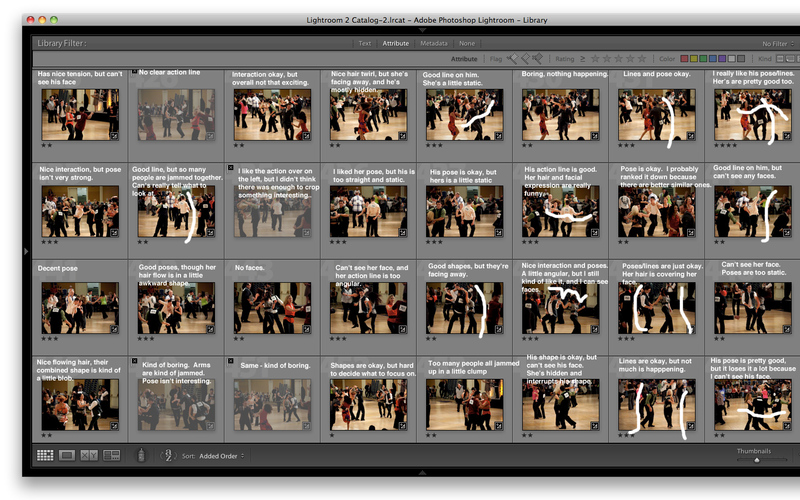 I think Lightroom is great for processing a bunch of photos, and I rarely even export to Photoshop. 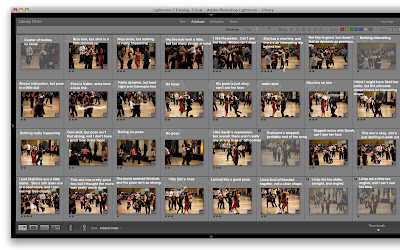 On an Mac, Aperture is also very popular, but I know nothing about it. Edit the photo to resolve these two. This entry will have some overlap with the previous with the subtle difference of the last one being about what I look for while I shoot, then this one being what I look for after I've already shot, while I'm filtering through a set of photos. Rank every photo from one to five stars or as a reject, with overall edits for exposure and color. 1,2 - I kind of like it, but not worth sharing. 3 - Worth sharing, hopefully some others will like it. 4 - I think it's really good, I think many will like it. 5 - I feel proud to have gotten this shot. Go back and demote a lot. If a third of the photos made it into "four stars," I wasn't picky enough. Fine tune cropping, color/exposure, vignettes, noise reduction, and fill or saturation levels, etc. Run through the whole set of final edited photos several times and finalize the rankings and final touchups. 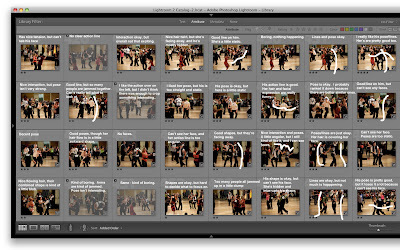 Finally export the photos for release on smugmug, Facebook (and maybe soon Google+) and upload them - this actually can take a full day and night. To address the first two steps, I'm just going to list a few things that may make me think a photo is worth sharing. These examples have already gone through post processing, so it's not exactly accurate to the process. Maybe you'll have similar criteria, maybe not. In fact, I'll also try to include some exceptions that may completely contradict what I initially suggest. In these first two, the flash didn't fire, so initially, they were way too dark. In Lightroom, I can recover a little bit by pumping up the exposure, but since it wasn't properly exposed to begin with, there are still problems, like noise. If there was a little bit of light, often pumping up the exposure by more than 2 stops will make the photo contrasty and oversaturated. If there uniformly wasn't much light to begin with, it will get all smeared out. Just looking at the people, there's very little difference between the light areas and dark areas, and it's really a challenge to try to pull something out using the Lightroom controls (contrast, fill, clarity, ...). Also, it's usually good if at least something is in focus. But in this shot, I thought the blur kind of added a sense of motion, and the smile won me over. So those aren't my best shots(definitely not from a technical standpoint), but there was still something I liked about them that to me, made them worth saving. I like shots of people smiling, like they're having fun. One thing that's just kind of boring though is if the subject just has a blank look, like this guy. Also, if no one's facing the camera, I usually don't keep it. Sometimes, they will have nice lines, but I just find the shot isn't as interesting if I can't see any faces, and often I'll have enough better shots that do show faces. Now of course there are exceptions, like maybe a studio shot that's dramatic, contrasty, and backlit. But most of the time, I like to see faces. I like it when the primary action line of the shot is long, simple, and curved. This kind of guides the viewer's eye through the photo. By the way, if you're not used to looking for these action lines, I suggest taking some life drawing classes, like for a year or more. Also, even a book like "How to Draw Comics the Marvel Way" has some discussion of it, but the best thing is to really practice. By contrast, these have a lot of angles, and on top of that, the lines are intersecting. There's not really a clear focus. It's not clear if you should be looking at the foreground couple or the background couple, and there's nothing compositional to clearly separate them from each other. The dancers themselves look great, but for composition, I consider these "Photo Fails." Still, I thought they were extreme enough fails on my part that it actually made them funny. I like shots that have a sense of motion to them. For instance, a tie, hair, a skirt, or something flowing around someone, showing a spinning motion. Or if the dancer's center isn't above their feet (like if they're about to take a step), this implies a future motion to resolve it. Though sometimes, it's also fun when there's a lack of motion, like Courtney and Nick (who are dancing in this heat) take a moment to stop and study another couple. I really wasn't sure whether I should categorize this one as "motion" or "not motion." Sometimes, there's something in the lighting that strikes me. 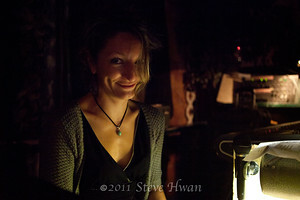 In this shot, Tiff is lit by a lamp and a laptop at the DJ booth. While the source is underneath her, it's far enough away so I think it isn't horror/suspense movie lighting, and the way it lands on her face has a nice shaping without being crazy high contrast. I think I did help it along with a little bit of Lightroom fill. For bonus points, the lamp/laptop have a little specular hit in her eye. In this shot of Laura, I thought the rim light was really striking. There's just a tiny bit of light that fills her, so you can see a hint of some features (actually, I think I lifted it in Lightroom ever so slightly), but she's more or less in silhouette. In this shot, there was a mirror behind Nelle and Joe that reflected some light behind Nelle to give her a little rim on screen right. I just noticed I'm completely in the shot in the reflection, which was a mistake. But I did hide the flash from the reflection. I'm holding it to my left so that it isn't front on, so you can see some shadows and shaping on Nelle and Joe's faces. Just as a side note, you might notice the far back wall is still a fairly neutral color and didn't go all yellow/orange/red. That will be a topic for a future entry, but just quickly, I used a CTO gel on the flash. At Lineage's 2011 Pasadena Dance Festival, they had professional lighting designers, Ric Zimmerman and Alison Brummer that made pretty much every shot have beautifully placed rims, and set a mood for every number. I like catching people pointing. Probably because there's some implied action/movement. They often also fall into the "simple lines" category. The Karate Kid pose is iconic to me, so if I see it, I'll usually caption it, "Crane technique... if done right, no can defend." And if you've seen my photos from Camp Hollywood in the last couple years, you'll know I have a thing for tongue shots. That's not a complete list of what I like, but I think it should start giving you an idea of what I look for. Now, to return to the beginning of this entry, what does this mean to editing? At the simplest, I try to only keep the photos where I see some potential of something I like, and don't bother processing the lower ranked ones. 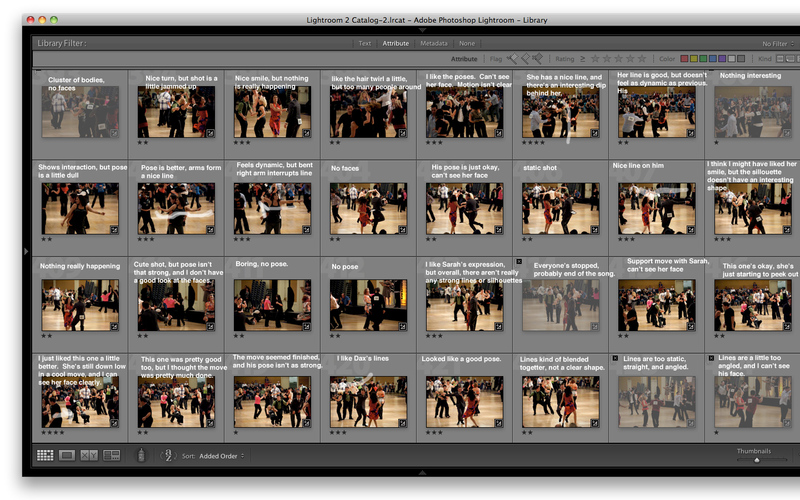 So here's a mark-up of some recent photos in Lightroom before I did a significant amount of processing. Later on, I think I actually promoted some of the 3-stars into 4-stars, but this is the most raw I can think of demonstrating. I'd already deleted some of these on the camera, but these are my initial rankings, with the thought of "process the 4-stars, maybe process the 3-stars." I really suggest clicking on these and looking at them full screen. Damn, 6000-8000 for an extended weekend event that's a lot. I don't say too much but it depends what you are looking for. I think I shot around 300-4000 photos for a 4 days event, even less. IT means nothing but it is less time just browsing pictures. I usually delete directly 'bad' photos from the camera screen, photos with over or under exposure when I really know that I will do nothing with it. I continue deleting other shots with a bigger screen later. I am in favour of deleting. I browse thumbnails and previews from filing system with some fast raw viewer (on windows Picasa, fast picture viewer). When I like one photo I edit it into photoshop. From what I saw of user, most users don't use photoshop because of their law skills on it or 0 knowledge, or time that it takes to edit. I don't yet edit metadata (XMP, IPTC), it should be better for file management but I don't need it today. Today I just use folders + date + name of the event, it is enough to me on my computer today but I know editing metadata could be better if I have more description to handle for historical reasons. I personally edit my best shots on Photoshop, I never do batch processing (or I do it from Photoshop with actions or copy and pasting layers - more simple sometimes with Lightroom). I tested Lightroom actively last year and I was disappointed about editing possibilities. Same thing for efficiency you really need strong computers to do almost nothing except viewing your files and it create lots of caching files. I tried to work on shadows, reflections, and more precise editing with lightroom. It is mission impossible. Without religion for a software or a system, too me it is good for bacth processing, to use presets, edit some large zone and have some fast results on many images. I am curious to know how much time you could spend editing just one photo ? I will certainly try to update my editing process this year, it is a constant work with the new softwares and updates. 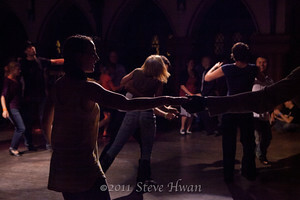 I am interrested to read about lens and camera settings when shooting Lindy Hop. I waiting your next post and continue browsing your blog and your nice photos. I've never really gotten comfortable with Photoshop myself, and have only done a couple minor edits. I like Lightroom because it covers the simple edits I use, and it's convenient (to me) for browsing lots of photos and doing a quick exposure adjust or crop. 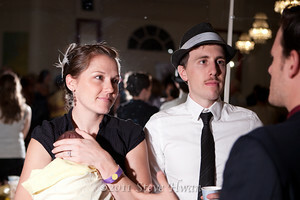 On a typical photo, I might spend one, sometimes two, minutes total doing actual edits (mostly refining the cropping). I also spend a lot of time ranking the photos and deciding what to reject, and I wind up going through the whole set a few times - this probably also averages a minute or so per photo. I'm still working on trying to bring those times down, because a minute or two per photo multiplied out for a few thousand photos... you get the idea. I really do intend to write up the next one(editing/composition), but haven't had time.